Countless species of fish swim through the oceans, rivers, and lakes of planet Earth. However, in this article, we’ll be focusing on the largest freshwater fish in particular. With size aside, these 12 enormous swimmers still manage to impress: They’ll be sure to astound you with their surprising lengths and jaw-dropping masses as well! Hopefully, this list will give you a newfound appreciation for the sheer scale of some of the creatures we share our planet with. Plenty of these aquatic creature would dwarf your car, and might make you look twice before you take your next dive. Let’s learn a little bit about each of the 12 largest freshwater fish in the world. 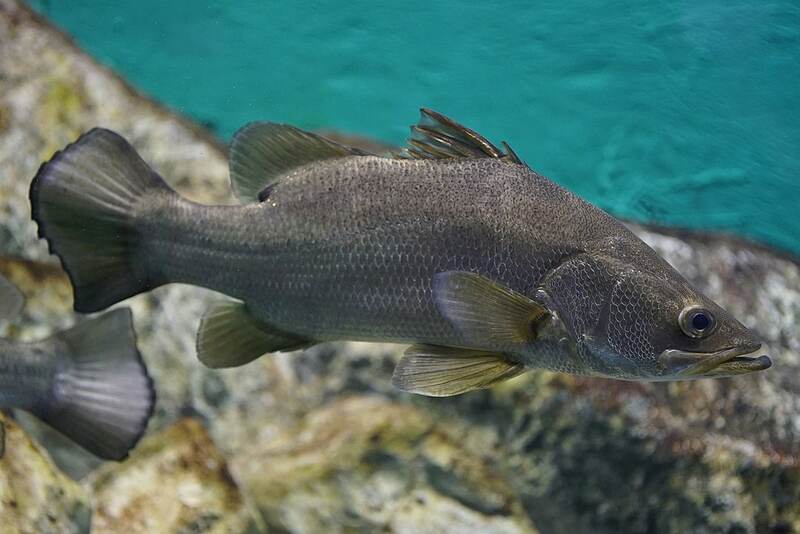 This large fish is a prolific breeder, meaning that its population grows at impressive rates. This quickly-moving life cycle has enabled the species to spread rapidly, which isn’t’ always a good thing. The Nile Perch is actually an invasive species in certain areas, and has caused troubling damage to the ecosystem. 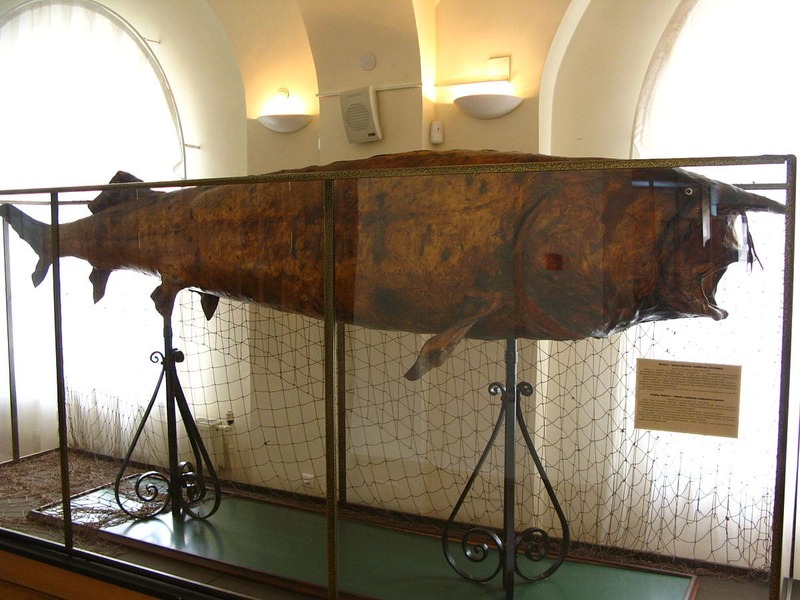 This fish originated in the Ethopian regions and was introduced to Lake Victoria in the 1950’s in order to reduce the population of “trash fish” and improve the chances of fishermen hauling a successful catch. The Nile Perch invasion of Lake Victoria is referenced as a prime example of the havoc that an invasive species can wreak on a local ecosystem. One of the main sources of trouble in unnatural habitats is the Nile Perch’s massive appetite. This big fish feasts upon crustaceans, mollusks, insects, and other fish. It’s even been known to indiscriminately devour smaller members of its own species. The ravenous appetite of this fish has given it the nickname “River wolf”. The Siberian Taimen can live to be thirty years old or more, giving them plenty of time to attain their impressive sizes. This fish is the largest and oldest of the salmon species, and serves as evidence of the evolutionary link between salmon and trout. The Siberian Taimen takes longer than many other species of fish to reach sexual maturity. Because this species has a long life span and does not mature and reproduce quickly, its population is especially likely to be impacted by changing environmental factors. As such, the Siberian Taimen provides ecologists with valuable insight that enables them to gauge how their aquatic ecosystems are currently faring. Despite its name, the slithery looking Electric Eel isn’t truly an eel, and its classification is closer to that of catfish and carp. This unique creature inhabits murky waters, lurking on the hunt for fish, amphibians, and even small birds and mammals. Electric Eels hunt by using their 6,000 electrocyte cells to fire simultaneously and deliver an electric shock that stuns their prey. The eel’s ability to shock serves as a defense mechanism as well. 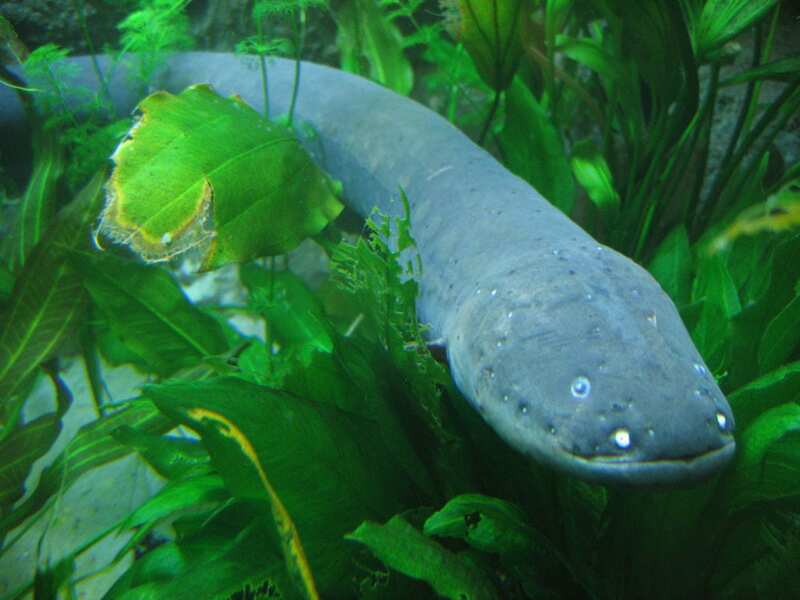 Considering that the charge delivered by the Electric Eel measures 600 volts, most creatures leave them alone! An electric shock of this strength is enough to knock down a horse. The same murkiness that helps conceal the Electric Eel from both enemies and prey also makes it difficult for water-dwelling animals to breathe. The eel has adapted accordingly, and surfaces every few minutes to breathe air from above the water. They’ve developed electrolocation to make up for their poor eyesight and muddy environment as well. Also known as the “Lake Nicaragua Shark,” this underwater menace doesn’t just keep to the ocean as you might expect or hope. The Bull Shark resides in brackish estuary habitats as well as in freshwater, and is equipped to spend a long time in either environment. It is considered to be one of the most dangerous sharks to humans, due to its intense aggression and tendency to frequent shallow waters where they’re more likely to encounter swimmers. This level of aggression may also be part of the reason for its name, along with its blunt snout and stocky appearance as compared to other sharks. 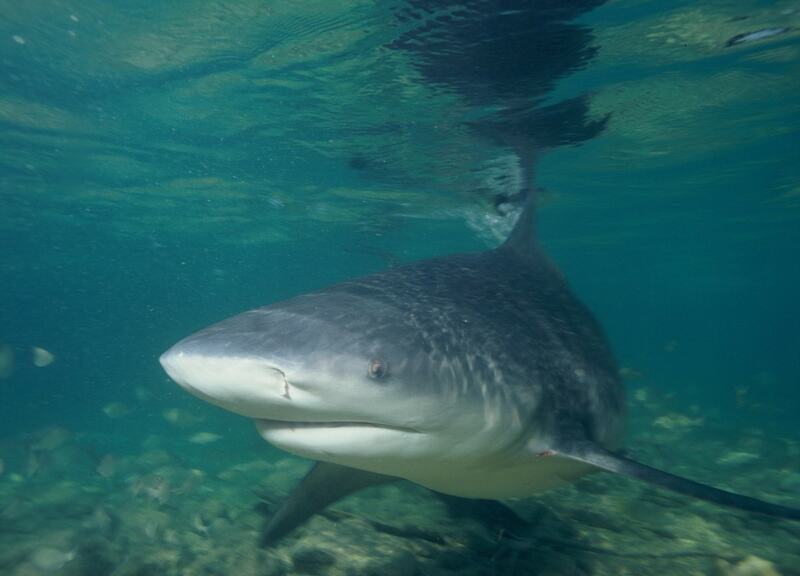 The Bull Shark’s preference for shallow waters may actually be connected to its relatively small eyes and poor sense of sight. Prey is more densely packed near the coastlines, which improves the shark’s chances while hunting. This unique-looking fish is the largest of the seven varieties of Gar, and the only one with a double row of teeth in its upper jaw. The Alligator Gar gets its name from its wide, bony head that’s very similar in shape to an alligator’s when viewed from above. 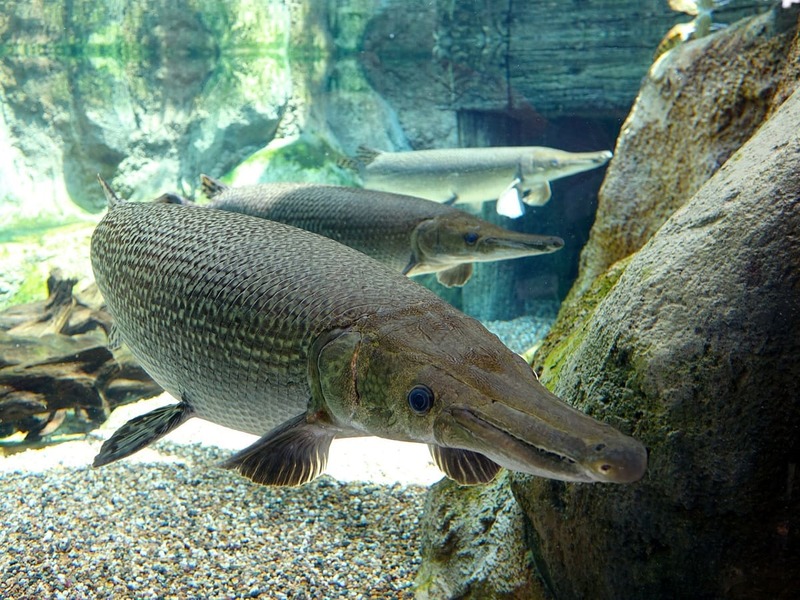 Despite its partial resemblance to such a fearful reptile, the Alligator Gar is a generally peaceful creature that poses little threat to humans. The greatest danger it poses is probably its eggs, which are poisonous when ingested, and the damage that it can do with its sheer size by thrashing if hauled into a boat. Similarly to the Electric Eel, the Alligator Gar can surface to breathe air directly. It does this using an air bladder that works similarly to a pair of lungs and connects to its throat to enable it to take air in directly. Here we have another fish with the ability to breathe from the surface–and it does so with a distinctive coughing sound. These scaly giants have been known to opportunistically grab fruit and birds to eat when surfacing, although their diet usually consists of other fish. The Arapaima generally hunts by propelling itself forward in a short burst of speed meant to stun its prey long enough for the bigger fish to gulp it down in its vacuum-like mouth. 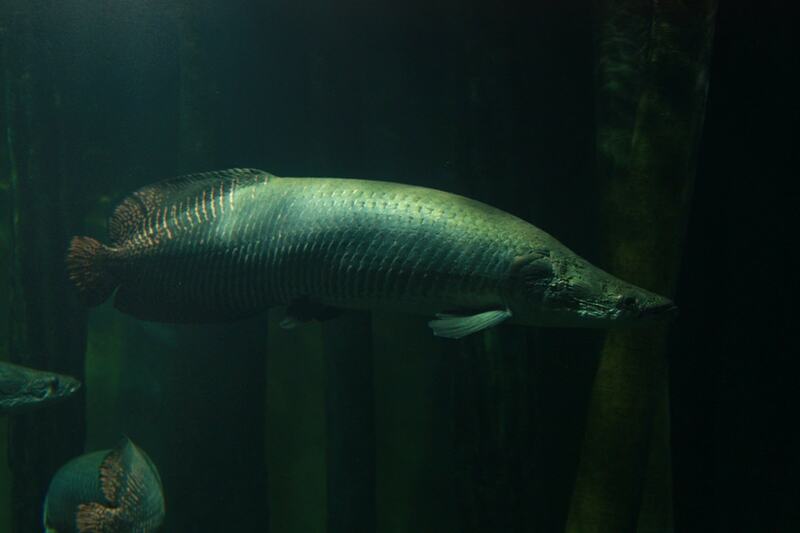 The Arapaima’s tendency to hunt at or around the surface of the water exposes it to its main predator: humans. This fish is quite easy to harpoon when it’s so close to the surface, and many indigenous people do so in order to harvest the fish’s meat and fashion jewelry from its scales. Overfishing is currently the greatest threat to the Arapaima. 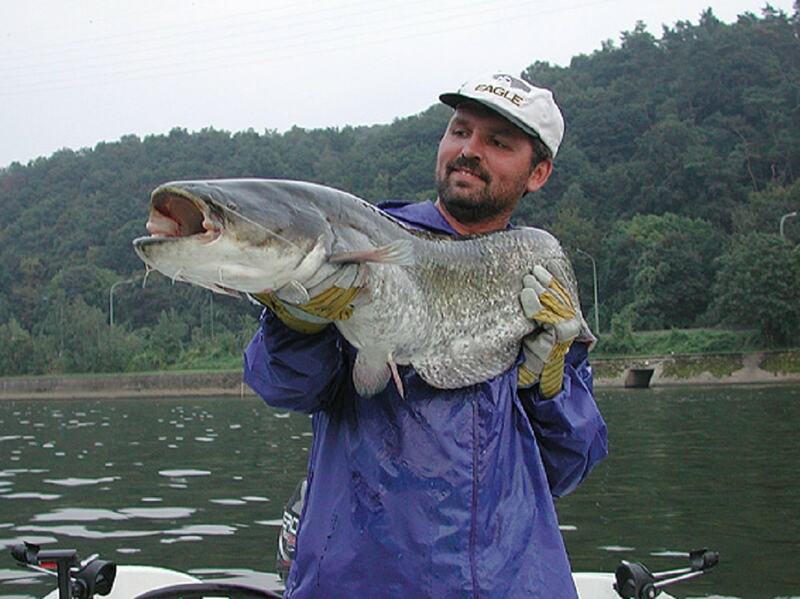 While a few specimens of Alligator Gar and Arapaima have exceeded the Mekong Giant Catfish in length, the latter regularly reaches far heavier weights. This aquatic behemoth is considered to be among the largest of all scaleless freshwater fish. Threats to its population such as overfishing, destruction of its breeding grounds, and damming of its rivers have pushed it to the point of near-extinction. The Mekong Giant Catfish is the only species of catfish with no teeth, and it also has far less distinct barbels than the usual whiskers that extend from the mouths of other catfish. The lack of outstanding barbels in combination with its great size often lead people who spot one of these giant catfish to assume that they’ve seen a shark. 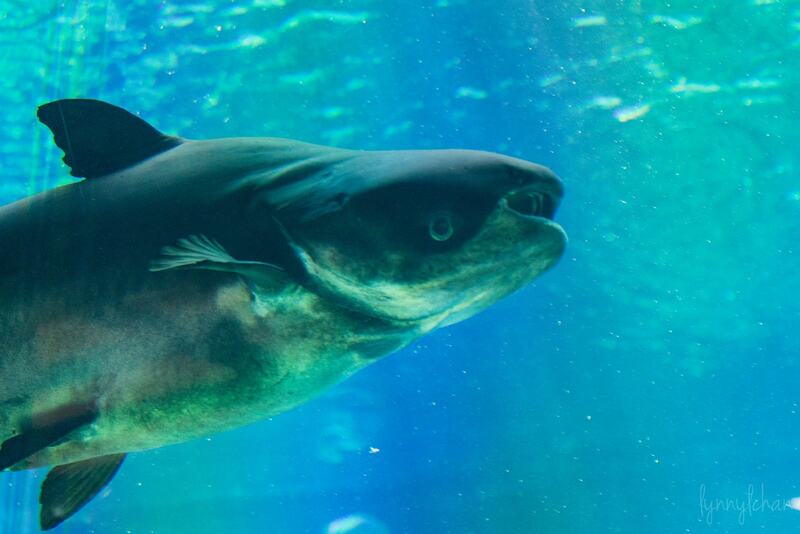 Many experts fear that this massive, critically-endangered fish may have already gone extinct. There have been no sightings of young specimens in the wild since 1995, and no sightings of any Chinese Paddlefish in the wild at all since 2003. After a dam was constructed in the Yangtze River in 1980’s, this giant fish’s habitat was altered enough that the population was unable to bounce back from overfishing. This fish’s distinctive snout, which inspired the Chinese to refer to it as the Chinese Swordfish, is called a rostrum. The rostrum creates lift while this giant fish swims, acting as a stabilizer and enabling it to keep its head steady. While this gigantic species of catfish is native to Eurasia, it’s considered an invasive species in many different areas where it was introduced as a sporting fish. Its massive size has led it to be nicknamed things like “The Ebro Monster”, “The European Maneater”, and “Man-eating Catfish”. 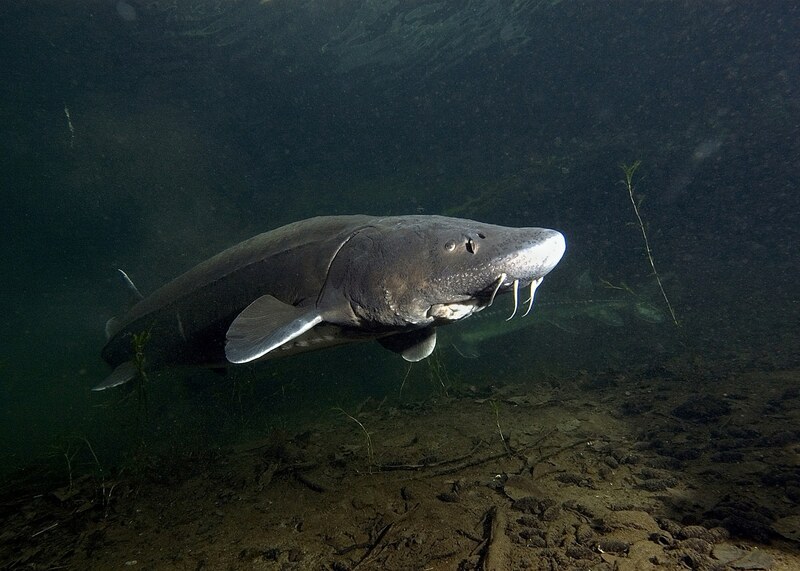 Despite these monikers, however, the Wels Catfish is far from a maneater. Its adult diet mainly consists of other fish and eels, crustaceans, and even unfortunate rodents and ducks. Like several other large species of fish, the Wels Catfish hunts with the “gulping method,” sucking in prey by suddenly opening its mouth to create powerful suction. The breeding habits of the Wels Catfish involve a bit of teamwork. The male digs a shallow depression in the sand beneath the water, often adjacent to reinforcement like tree roots or rocks. The female then fills the nest with thousands of eggs, and the male catfish then diligently guards them until they hatch. Less is known about this species compared to the wealth of information available on its oceanic counterparts. 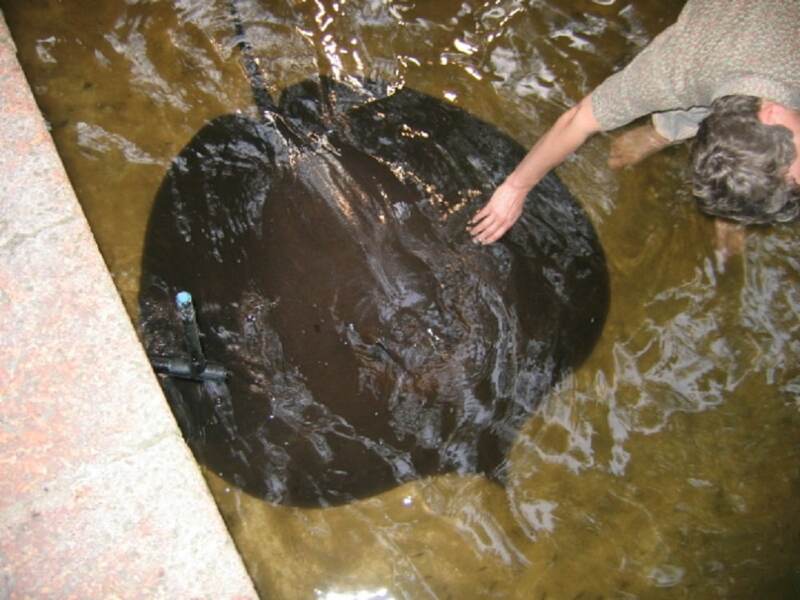 It’s uncertain whether the Giant Freshwater Stingray is equipped to venture away from the rivers where it’s most commonly sighted to swim through the salty waters of the sea. Experts are concerned that this species may not last much longer, since pollution and interference with its river habitat have already reduced their numbers. This massive fish has the largest stinger of any known ray, which can exceed 14 inches in length! The Giant Freshwater Stingray isn’t generally aggressive towards humans, but the barb in its tail can do some serious damage if whipped around in self-defense. This aquatic giant is the largest species of freshwater fish in North America. Instead of having slimy skin like a catfish or a coating of scales like most other fish, the White Sturgeon is covered in hard, bony plates called scutes. They also share a trait in common with sharks: an internal frame made out of cartilage instead of bone. This cartilage skeleton give the sturgeon added flexibility, making it quite agile in the water. Female White Sturgeon can release 3 million eggs, which stick to the bottom of the riverbed upon making contact with it. This is a component of “broadcast spawning,” where both male and female fish each expel their fertile components to mix externally in the water. The Beluga Sturgeon is the largest freshwater fish in the world. Like other sturgeon, it’s part of the oldest known group of fishes, which is estimated to be 200 million years old. The Beluga Sturgeon is the source of Beluga Caviar, the most expensive kind of caviar and the most expensive food item in the world. Given the Beluga Sturgeon’s astounding size, human beings who harvest the caviar from this fish are its only natural predator. Sadly, the demand for high-end caviar has resulted in this species being driven to the brink of extinction. The Beluga Sturgeon has barbels around its mouth, similar to those of catfish but shorter. These barbels are feathered at the end in order to more effectively sense movement in the water. Its mouth points downwards and is located on the underside of its head.